Reporting Venue: VQC I entrance. 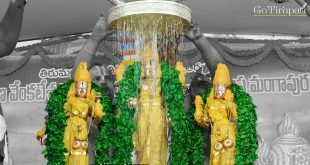 Tiruppavada Seva will be performed only Thursday’s. 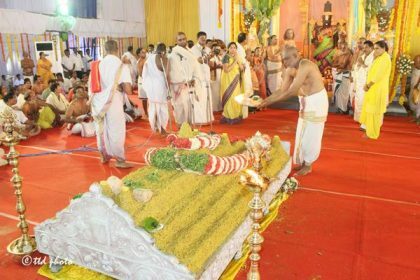 Tiruppavada Seva starts around 6:15 a.m, in Tirumamani Mandapam. 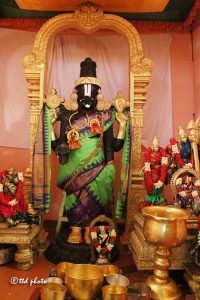 A large quantity of Pulihora ( Tamarind rice) will be cooked and offered to the Lord Sri Venkateswara along with several other sweet preparations. 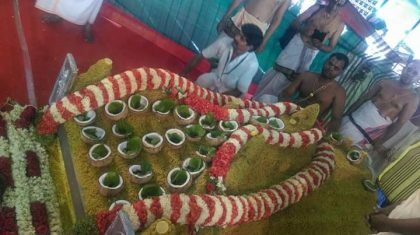 They will be placed along with coconuts, flowers, sandalwood paste and Vermilion and deepas will be offered to the Lord Malayappa amidst the chanting of mantras by the Temple Priests. 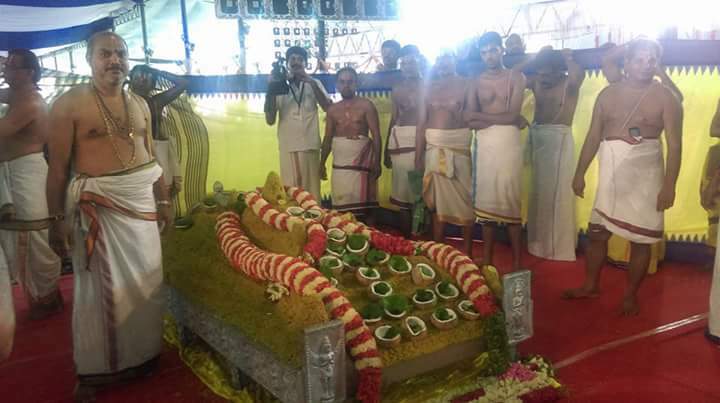 How to book this Seva? On showing the received message at MBC 34, a ticket will be issued using the bio-metric system. 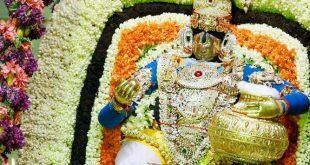 Recommendation Letter should be addressed to either Executive Officer Tirumala or Joint Executive Officer Tirumala. It is one seva ticket per person. 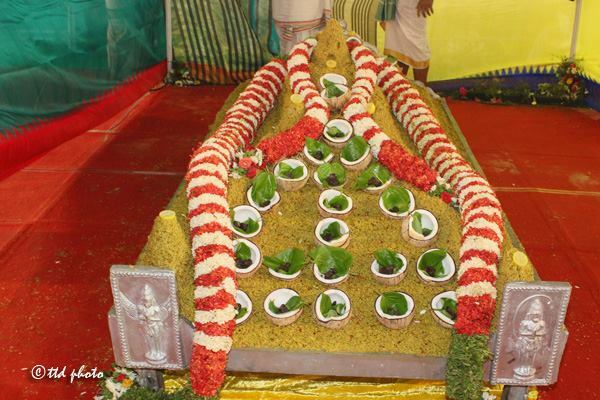 Online Booking is not available for these Seva tickets. For any queries, please leave your comment below. I wish to register for thiru pavada deva. But o don’t know how to book.please answer me. you need to get recommendation letter from central minister or cm for seva. 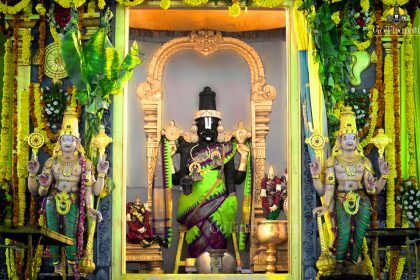 You need to get high recombination letter for the seva and need to submit the at JEO office tirumala and need to approve.